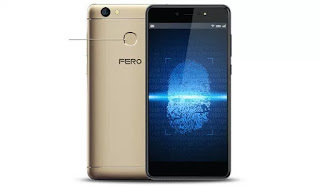 After releasing Fero Pace a year ago, Fero Mobile has launched yet another budget phone called Fero Pace 2 which is the successor of Fero Pace. The Fero pace 2 spots a 5.5-inches screen display, fingerprint sensor, 4G LTE enabled, 13MP on both the rear & front camera, 2GB RAM, 16GB inbuilt storage, runs on Android 7 Nougat which is powered by Mediatek MT6580 chipset coupled with a 4000mAh battery capacity. Price: KSh 8,499 / NGN 32,500. Nice, nice 2GB ram, 4G LTE, 4000mah all for 32k..awesome. I'll surely get it soon.